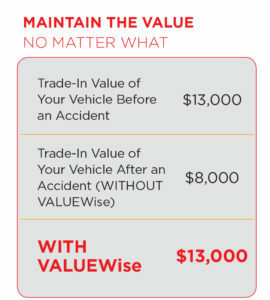 After an accident, even a properly repaired vehicle is worth a lot less than a comparable vehicle that was never damaged. The vehicle’s trade-in or sale value has diminished. It can now be worth 30% less! This is diminished value. When the vehicle is sold or traded-in, its CARFAX® report will reflect a lower value. These types of reports make it easy for the next buyer to know whether the vehicle has been in an accident. 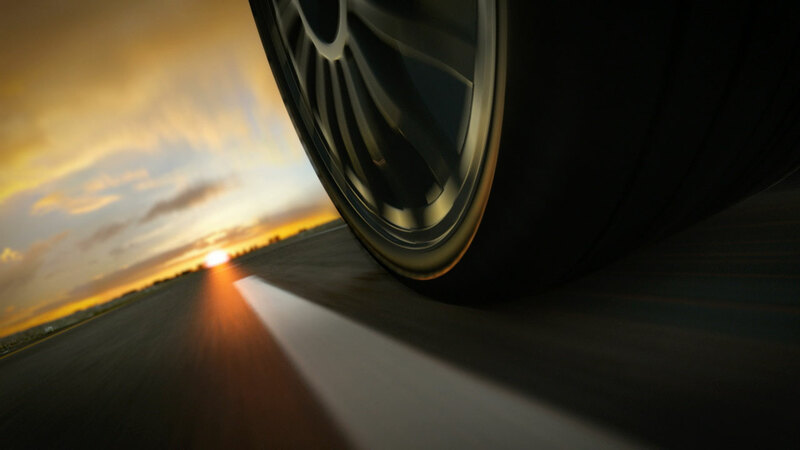 This can automatically reduce the vehicle’s value even if the car is in excellent condition. 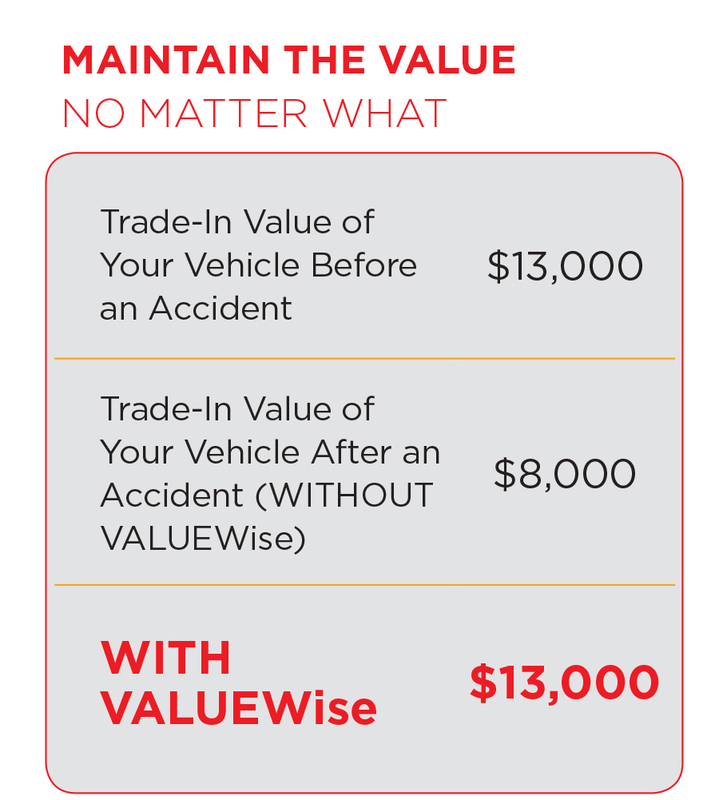 VALUEWise protects against a financial loss from diminished value, up to $5,000. Example above assumes maximum benefit, actual benefit is subject to contract terms, conditions, limitations and exclusions. For illustration purposes only. CARFAX is a registered trademark of CARFAX, Inc. Please review the entire VALUEWise option agreement for all terms, conditions, limitations and exclusions. Obligor services for VALUEWise provided by Value Guard LLC. Administration services for VALUEWise provided by Gateway Administration Services LLC, 1670 Fenpark Drive, St. Louis, MO 63026. Gateway Administration Services LLC is part of the Wise F&I LLC family of companies.